6 feet, 500 miles, for 2 causes. | Pilgrimage to walk the Camino de Santiago to raise funds for a cure for Multiple Myeloma and Rhodesian Ridgeback Rescue. 6 feet, 500 miles, for 2 causes. Pilgrimage to walk the Camino de Santiago to raise funds for a cure for Multiple Myeloma and Rhodesian Ridgeback Rescue. It has been a long while since I wrote. The reason, mainly…trying to find the words to process of transformation that has occurred since my camino journey. Boy…that sounds redundant, “Camino Journey”. They are one in the same. 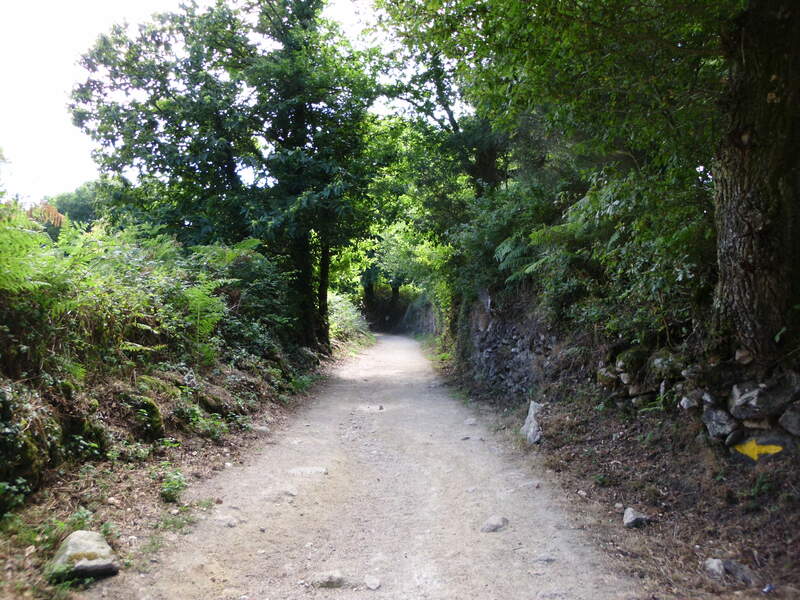 When one walks the Camino de Santiago, you hear other’s saying, “Buen Camino”! They are not meaning happy road, but really and truly mean good journey no matter what path it is. I find myself saying “Buen Camino” a lot. Not just to fellow peregrinos but to folks on the street. We are all on our “journey” and to acknowledge that journey in others just feels right to me. Last month I attended the Annual Gathering of the American Pilgrims on the Camino. At first I was feeling really hesitate to attend. Here would be people I didn’t know and they wouldn’t know me. But truth by told I feel really good I went. Again it was much like walking the Camino. Meeting people you don’t know, they don’t know you, don’t speak the same language, but all have at least one thing in common. Either wishing to walk, planning to walk or have walked the Camino de Santiago. This one common thing is so big in many ways and yet so small. Just to think of it I feel the tension in my shoulders relax. To keep this in the fore front of my mind…that is the trick. So to all who read, or just happen upon this blog. Buen Camino. Enjoy your own journeys…where ever it may take you. After returning home and I gave the knee and feet a bit of rest thinking they would be better sooner rather than later. They decided to have a different objective. I spent much of Thursday and Friday at the doctor’s office having x-rays, ultrasounds and bone scans. Nigel didn’t want to be around me after being injected with some radioactive material. Smart dog! But the verdict is in, and thankfully no stress fractures around the knee. So that means IT band syndrome. Which includes PT and lots more rest. But the right foot is an other matter. Under the bone scan it lit up like a light bulb, and so there appear to be at least one if not more small stress fractures around the long bone of my fifth toe. That means wearing a boot for 4 weeks, and if it does not feel better then, to be completely off it, with either crutches or wheelie cart. And again means more rest, elevation and ice. I figure this is the universes way of telling me I walked enough for a while and need to stay put and enjoy my little space at home. This is a bit hard as my mind and rest of my body wants to walk. To take Nigel out for walks and runs and that is sidelined for a bit. I do feel like when I was on the camino and dealing with the pain of the blisters. I badly wanted to walk but my feet had other plans. Sitting on the train going back to Sahagun I was in tears fearful I would not be able to finish what I had wanted to complete. But in the end I was able to complete the camino, and also met some very lovely people in my stay at Moratinos. Which would not have happened if I had just continued on and not listened to my body. So I must listen again, and rest. I am learning to also rest my mind when it wants to race ahead with my starting back to work in a few days. I continue to remind myself of taking the slower path and that work is just that. I will not rush, I have no need to rush. Things will be completed in time. I’ve not been writing much since returning from the camino. To those who read this, I apologize. Returning home has been an unexpected challenge. First I returned with one heck of a chest cold. I figure this is was from being soaking wet in Santiago on October 3rd. This cold has really knocked me down so I’ve been spending much of my time resting, drinking lots of fluids and staying warm. I’ve also noticed that it has been hard to walk. My body is learning how to walk distance without a pack on. And a few areas that were injured along the camino have yet to heal. I’ve also been going over some of the photos I took along the way. I am surprised that I did not take as many photos as I normally do when I go on trips. But then again, this was not a normal trip. Nigel has been resting much more than normal as well. While walking day in and day out can take a toll on the human foot and body, it does the same with a dog. And so he is catching up on some well needed rest, snuggled under his down throw on his dog bed. As for observations and insights since my return, here are a few. One, I don’t care for driving. I do it if I have to, and do enjoy going to a place like the beach, but day-to-day driving…feels too heavy. I notice I don’t feel well when driving. My tummy gets upset. I do know that November 2nd, I am to have a “Reasonable accommodation meeting” with my work so to see if they are willing to allow me to drive a state car instead of my own for work. I have mixed feelings about this, as this was one of the big sticking points of my having to change jobs when Nigel came into my life, and two if I am allowed to use a state car, my reimbursement for travel money will no longer be there. But there are some bright sides to this as well. I would be allowed an ORCA card, or bus pass to commute to and from work. And this will save money and wear and tear on the car. And allow me to not feel ill when driving. Two, while this is not a big surprise to anyone, I don’t care for TV. I’ve never been one to watch “regular” TV and while I do own one, it is connected to my Wii so as to stream Netflix. For there I watch all the PBS, National Geographic shows and documentaries I do like. Three. like many American’s I have too much “Stuff”. So in the days and weeks to come I will be paring down much of what I have. If it is something I don’t use, or have not used in 6 months it goes. I feel a great need to keep my life as simple as possible. 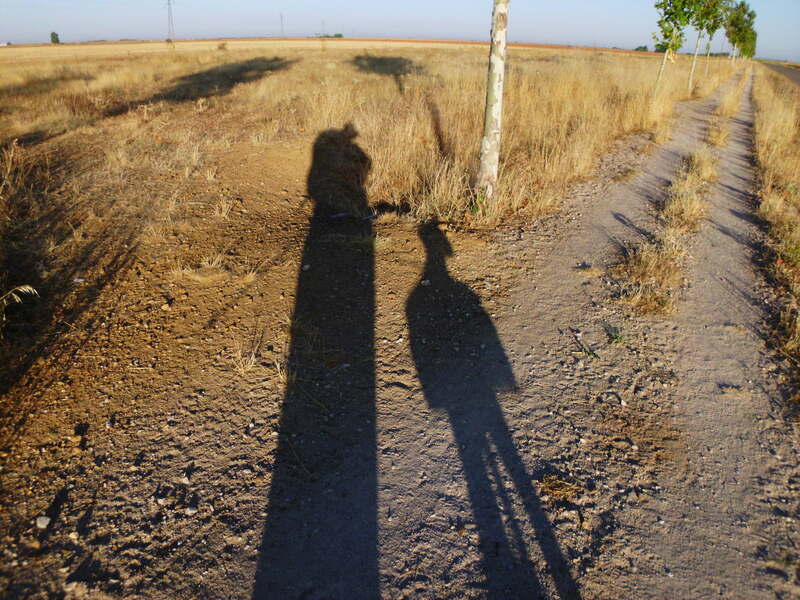 I contribute some of this to being on the camino where, when living out of a backpack things are very much simplified. Also a great deal of this is from the fact that my parents have been ill and keeping things simple helps me focus on the important things instead of trying to clean house, I can be at their home. Four, People. While I enjoy and love my friends and family, I feel I need to keep my exposure to crowds and large groups down to a minimum. I don’t like the noise of crowds, and am finding that once I could tolerate people talking on their cell phones in a public place, now I’m having difficulty with this. The feeling and sounds are stifling and I don’t wish to have that around me. Five, Work. The state of Washington is really struggling with this recession and so that means that jobs are iffy at best. Many of my co-workers are worried about losing their jobs. I am finding that when I think of this, it feels okay. Yes, it would be very difficult, and hard to pay my bills etc, but to me it feels deep in my gut that when one door closes another one opens. Also along the line of work, I am realizing I am having a much harder time multi-tasking. My brain does not wish and can not do more than one or two things at a time. It seems to take a great deal of focus and concentration on one thing to get it right then move on to the next. How this will play out at work I don’t know. Since my job is one big multi-task. Only time will tell how this works for me. I know there are more insights to come as time goes on. These are just the ones that struck me first as I try to return to the world in which I live in. In the meantime, everyone enjoy the lives they live. The people they love, and the changing of the seasons. I know I will. For all your cat owners out there, for the month of November all gross sales of Precious Cat litters will go to MMRF (Multiple Myeloma Research Foundation). So if you have need of kitty litter this is the place to go and help others in the process!!! Two pilgrims along the path, morning dew drying as the sun warms the earth. You never walk alone, God, Yahweh, is always with one who walks. It does not matter the path, be it dirt, pavement, rock or sand. The path is the same as long as one walks with the intention. Walks with mindfulness. With heart open, I walk. It is good to be home. Nigel has been sleeping pretty much all day and night. I know the trip was hard on him, flying is always hard but he did really well, and the flight attendants were very helpful this time around. I am fighting a battle with a chest cold which wants to be more, which is normal for me when I fly. Since returning to the states I’ve noticed I need more quiet, and calm in my life. While on the camino the main thing one does is get up, walk, find a place to eat, walk, find a bed, sleep, and start the process all over again. Everything is broken down to the basics. And this basic level of life is what feels right to my body and mind. The old adage, of “less is more” is true. I came home and saw all that I have, and feel like going through it all and really pairing things down to what do I really need and what I don’t. Now how that is going to play out with my work, I don’t know. But I am not really concerned about it. I don’t know if that is good or not, but just take it as it is. Things have changed. My work is just a job, one that pays my bills. It will no longer be my life. I am more than my work. I am an independent woman who is quirky, loving, a daughter, a dog mom, and a pilgrim. I have all I need, in fact I have more than I need and that requires me to get rid of the extra. And in doing that, I feel better, more calm, more whole. Spent the day on the train heading to Madrid to catch a flight tomorrow. A lot of mixed feelings as we rode past the same mountain ranges that Nigel and I had just walked over a week ago. How hard it was to go across in places due to the terrain but we did it. Step by step, I can close my eyes and smell the heather that was in bloom. The smell of the eucalyptus trees. And the smell of incoming rain. A number of people who I spoke with about their walking the camino said that once you have walked it once you will want to go again. I believe they are right. There is very different feeling of being on The Way. The pace is different. It is not Spanish time or even anything close to home. You get up at day break and walk…take breaks when you find a cafe or bar, or when the moment suits you. Change socks…a lot. Look for yellow arrow way markers, or ones in the rocks. Then as the light starts to change you start to loom for a bed for the night. While this is easier for those without a dog, we were creative at times. And that is all part of being on the camino. Things are broken down to their basics of shelter, health, and food. What will happen once back at home? I really don’t know but I do know that this piece of the journey has changed me. I do know that work may change due to budget issues with the state, and frankly I’m not worried about it. A big thing I have learned is that things happen for a reason, and doors open and close all the time. And it is okay. Arrived in Santiago on a very rainy, cold and windy Sunday. We were able to squeeze in to see the noon pilgrim mass. Since the archbishop was present, they did the swinging of the giant bofarfumeiro. Which for those who don’t know is a huge incense burner. It takes 8 men to hold the different ropes to swing it as it nearly touches the ceiling. I was told that originally it was used to fumigate the pilgrims. And on that very wet, cold and windy Sunday that may have been a necessary thing. There was no seating as the place was completely packed, but found the base of one of the pillars just the right height as a step and sat there. Out of breath from the last bit of a climb and literally dripping wet, I started to cry when the organist played A Mighty Fortress is our God. This was one of the first hymns I learned as a child and to hear it being played and feeling the reverberation of the organ through the air did it to me. I sat there on the pillar wept on Nigel’s shoulder as he snuggled into me. Others went up for communion and then the assistants swung the incense burner. It was pretty amazing to see this huge ornate silver burner swinging to nearly touch the ceiling. People clapped afterwards which kind of took away the feeling of the moment. But the most moving of all was listening and feeling the organ be played where and as it should. It reminded me of how small things really are. And reminded me of when I was small and living in Portland and hearing the organ being played and how that sound would feel in my bones. When the service was finished, I guess where I was sitting was near where all the priests and others walk to take off their robes. Nigel and I stood to watch and saw the archbishop in all his garb of pointy hat and staff. He was shaking hands with people as he walked by slowly. Nigel with his bright orange rain poncho on did a stretch bow and the archbishop saw this. He came over, put his hand on Nigel’s VERY wet head and them made the sign of the cross. He then took my hand and bowed his head and moved on. Here amongst all these other important people who would turn and avert their eyes at Nigel and I, which I must say we did look really bad. Truly pilgrims. Soaked to the bones with my green rain poncho and Nigel in his with his ears dripping wet. This man not only acknowledged us stopped to take our hand. To see us for what we really were, pilgrims in a land strange to us, being present in the moment. It was a calming moment which felt good. I picked up my compostela and we headed for our hostel room. Tired, drained, and wet, we slept well that night and Nigel slept much of Monday as well. While walking in the streets I have run into many people I met along The Way. Many have asked what items am I buying to remember this trip. I tell them I already have what I need and move on. This started as a journey as all life is, but while this portion has ended there is much that will be coming back with me. It may not be physical items but the memories and lessons learned along The Way are enough for me. We made it to Santa Irene today. Last night I had made a reservation at a nice hotel in Arzua after the episode of bed bugs on Nigel in Palas de Rei on Tuesday and my getting bit and sleeping on the floor on Melide. I am happy to be here. This is the first Xunta Albergue that has taken us in with no questions asked. And apparently Nigel is making a name for himself on the camino. We have run into about 10 people who say they had heard of, “this dog with a red service pack walking the camino.” more photos taken again. I have reservations in a hostel in Santiago from the 3rd to the 6th. I figure that gives is time to rest, obtain compostela, and go to Finisterre. The take train back to Madrid. And take a day trip to Avila and another to the vet to get Nigel checked out before we fly home on the 14th. Some people ask what have I learned along the way. I am still trying to comprehend all that I have learned and I think it will be awhile before I can put it all into words. But one word keeps coming up…compassion. The compassion that paddy, rebekah and Kim gave Nigel and I when I needed time to heal. The compassion a priest showed me when he asked why I was walking, I told him, and he took off the scallop shell necklace he was wearing, put it on me and said to wear this along the way and give it to your mother when you return. The compassion an elderly gentleman gave by loving to see Nigel, he had, a ridgeback, and gave Nigel a kilo of beef from his freezer and four hard boiled eggs. As to what I have given…I’ve been told lots…but that is for later.